A fantastic, gripping story which kept me guessing right until the end. Michaelbrent Collings has written yet another excellent novel. I highly recommend. A killer has come for Amy's autistic son. 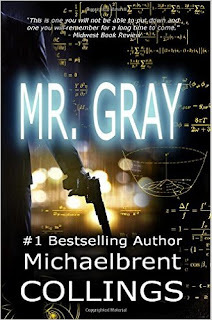 Known only as Mr. Gray, he can appear anywhere, anytime, apparently unbound by physics or distance or even time itself. He has no mercy, no remorse. And he lives only for death. 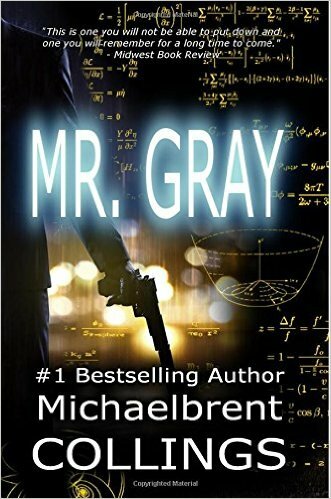 Aided by an ex-cop who lost his family to the same dark killer, Amy and her son are on the run, trying to stay alive long enough to figure out a way to beat Mr. Gray, and maybe to regain their lives.